clean up will keep them busy for months. 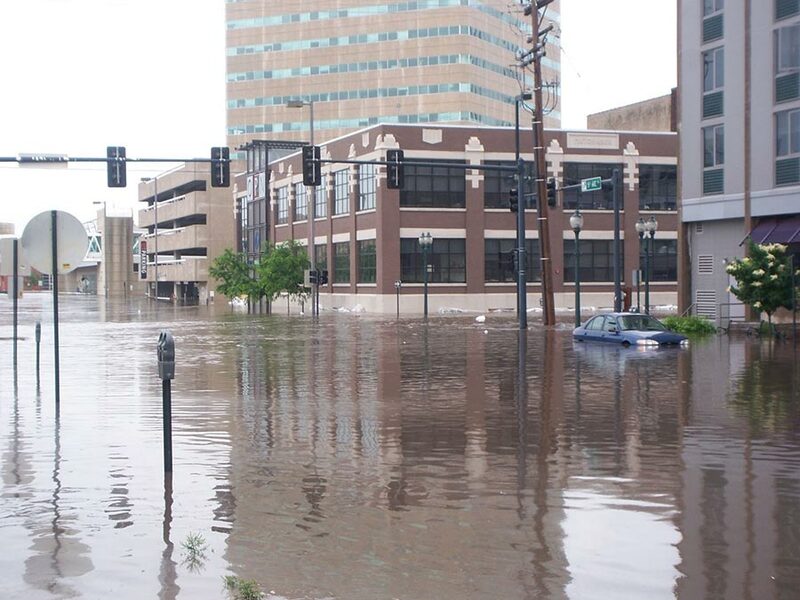 Heavy rain fell across parts of the Midwest during the first two weeks of June, creating the second “500-year flood” in 15 years. It has driven dozens of rivers to record levels, and flooded millions of acres. The worst hit state was Iowa, where 83 of its 99 counties were declared disaster areas. At least nine rivers across Iowa were at or above the previous record flood levels. The floods affected 36,000 people, with losses estimated in the billions of dollars. 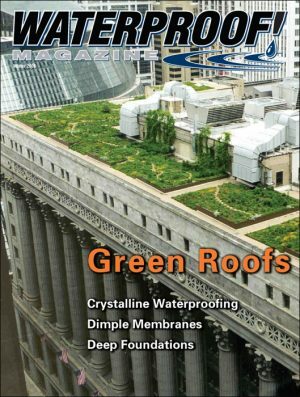 Strangely, a disaster of this magnitude can be good for business in the waterproofing industry. After 30 years in this industry, Jones understands the drought/flood cycle. “We were due,” he says. The calls started pouring into Jones’ office and every other basement contractor anywhere near the Mississippi River. Jones says he sent his company into “rain mode” with an overstaffed office answering phone calls and trucks ready to go. 8 feet deep covered city streets. But it isn’t just floods that affect the industry. “Droughts are as bad for foundations as floods are,” says Denman. And if it is bad for foundations it means it is good for the foundation repair industry, only when it starts to rain again. 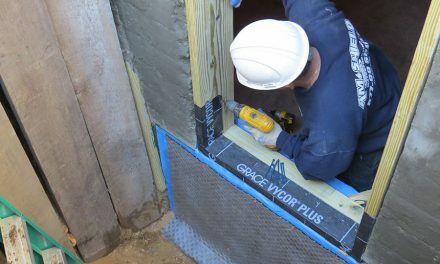 “The dry season is when structural repair can really take off for your company,” says Tom Johnston of J&D Basements in Columbus, Ohio. He says you just have to be creative about soliciting business and marketing. “Foundations are cracking when it is dry,” he adds. 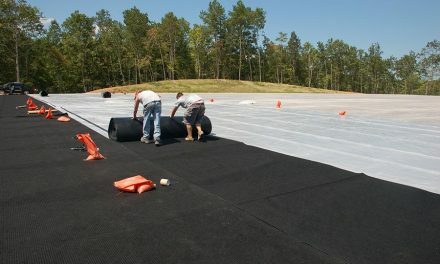 Georgia-based waterproofer, says several waterproofing businesses in the southeastern region have closed their doors because of this year’s drought. “It is definitely taking its toll,” he says. According to the National Climate Data Center (NCDC), as of June 17, 36% of the western U.S., 48% of the South, 18% of the High Plains, and 62% of the Southeast, were in moderate to exceptional drought. That adds up to about 30% of the contiguous U.S. 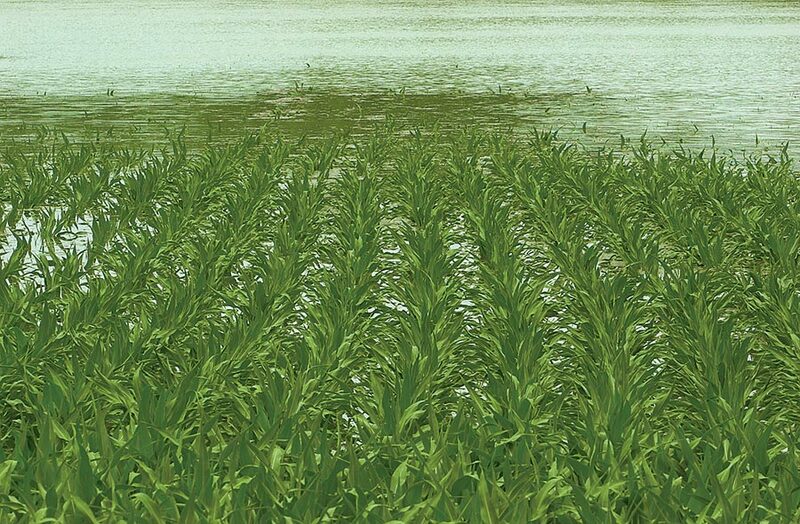 In an industry dictated by the weather, it is best to be prepared for sudden change. If you aren’t already a Federal Emergency Management Agency (FEMA) approved contractor, it may be good to become one. It’s a simple matter of filling out the paperwork and submitting to a quick background check. For more information visit, www.fema.gov/business/contractor. 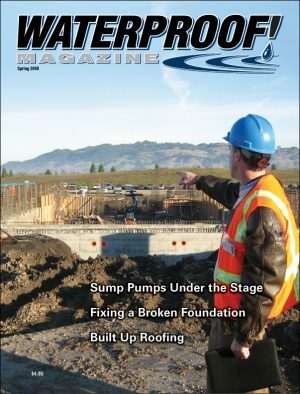 Contractors who have worked through the aftermath of massive flooding suggest keeping sump pumps and other emergency equipment in stock. They also recommend maintaining a good relationship with your suppliers in case you have to call them outside of business hours in a disaster. Torrential rainfall in the upper Midwest has flooded hundreds of square miles along the Mississippi River and its tributaries. 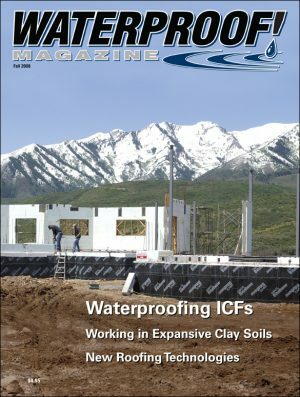 Waterproofers are helping out as much as they can. Every building needs a drainage system. This involves everything from properly sloping the lot to ensuring drain tiles and sump pumps are adequate. Concrete block, or CMU is commonly used for basement walls in much of the country. 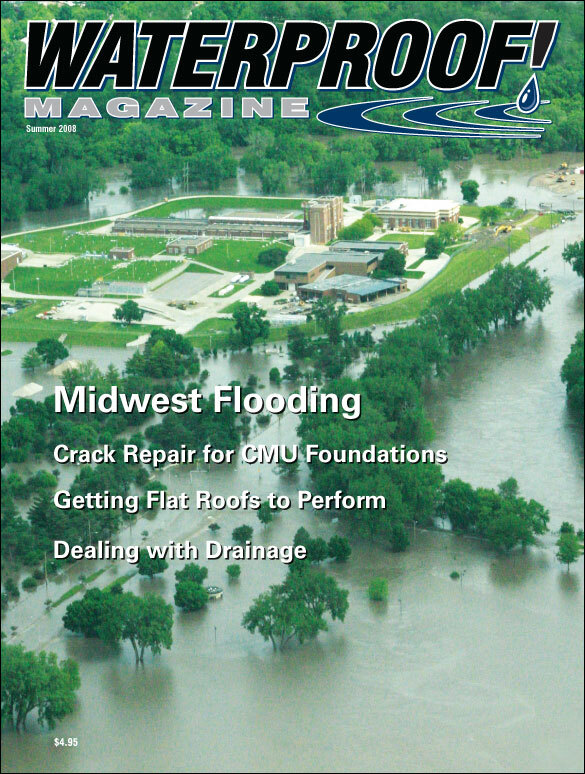 Modern materials have created new options for repairing the cracks that inevitably appear. 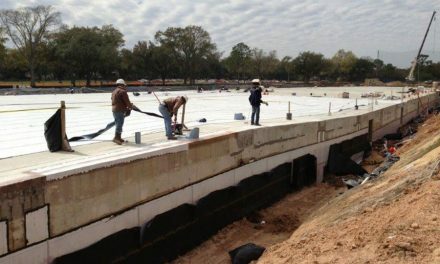 Standard in commercial construction, flat roofs are also common for residential work in some regions. 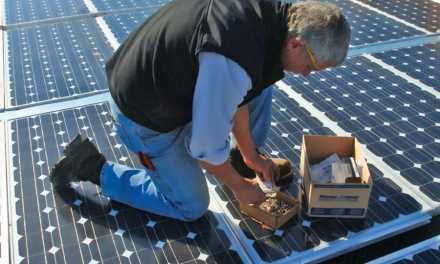 The key to performance is proper installation, quality materials and a slight pitch.